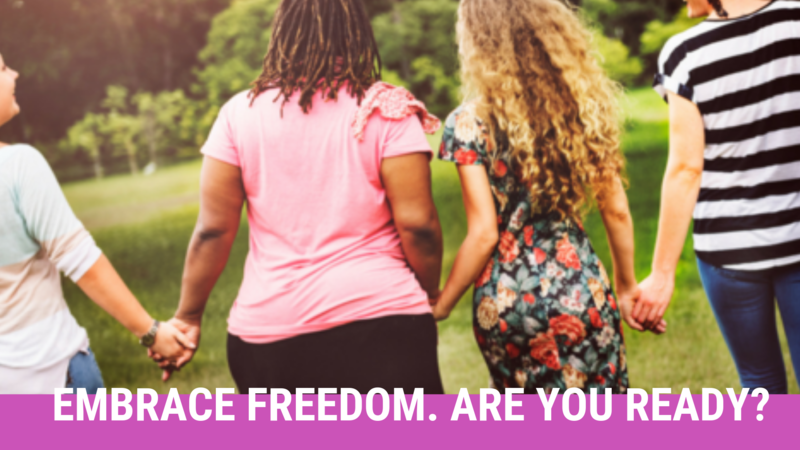 Open Invitation – Walking in Freedom! There’s nothing like falling into the arms of Jesus. In Jesus’ arms we can find rest for our weary soul. In His arms there’s rest for the broken and the wounded. In His arms, He holds us, rocks us, and soothes our minds. Someone said, “There’s no rest for the weary” but obviously, that person never rested in the arms of Christ. We can find peace in His arms. We can find protection and safety in His arms. Most of all, we can find love in our Savior’s arms. In Jesus’ arms, He speaks with a gentle voice and quiets our souls. He builds us up and gives us exactly what we need and for that exact time in our lives. Jesus tells us to come to Him. He invites us into a place of rest. He invites us to where He is and He stands with His strong arms outstretched, inviting us into His presence. What a beautiful Savior! In His presence is the fullness of joy and in His right hand are pleasures forever more! Are you trying to carry your burdens all alone? Have your burdens become so heavy that you’ve become weary? Jesus is beckoning you to come. With His open arms, He’s welcoming you to bring all those things that are bothering you. Bring your pain, your struggles, your burdens, your issues, and find rest for your weary soul. Jesus has given us a warm, wholeheartedly invitation to come to Him, fellowship with Him, and be in His presence! He’s so amazing! Sisters, let’s stop trying to do it on our own – because we can’t – but bring everything to Jesus. He cares deeply for us! IT WEDNESDAY – HUMP DAY! HERE’S A PRINCIPLE TO HELP US OVER THE HUMP. LET’S WALK IN FREEDOM TOGETHER & IMPACT THE WORLD!! TAKE THE 30-DAY CHALLENGE. IT’S A JOURNEY OF DISCOVERY, EXCITEMENT AND INSPIRATIONAL!